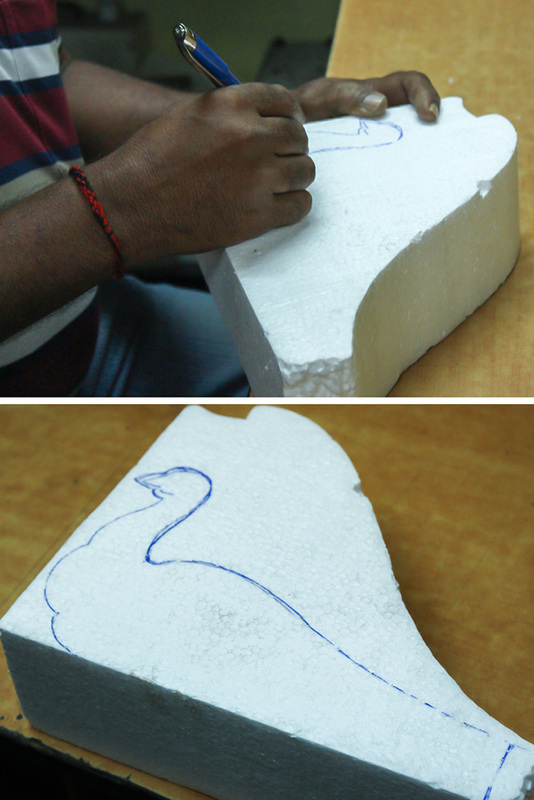 Initially required design is drawn on the thick thermocol using pen. 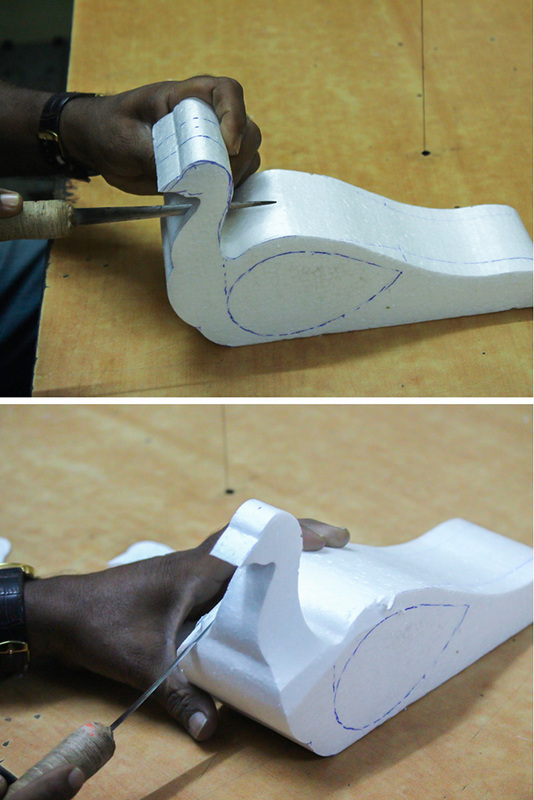 Then using ‘hot wire foam cutter’ is used to cut the thermocol to obtain a required basic shape. 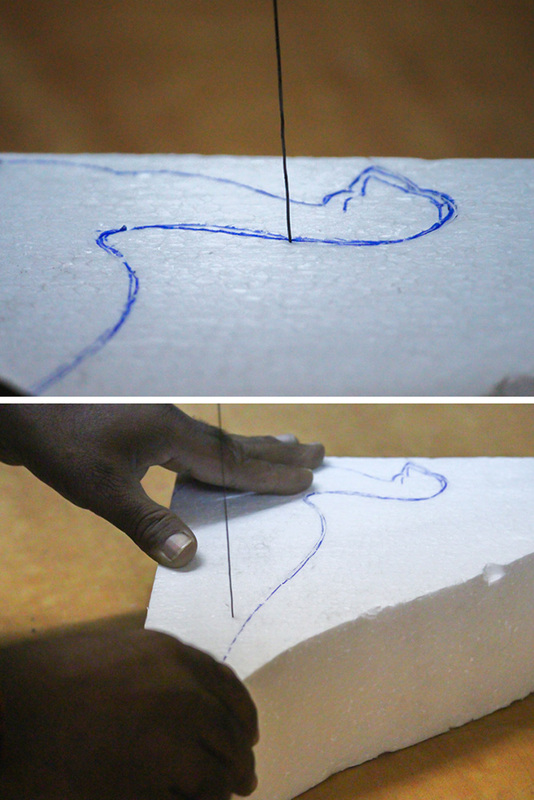 Again marking is done on the basic shape-using pen for detailing. 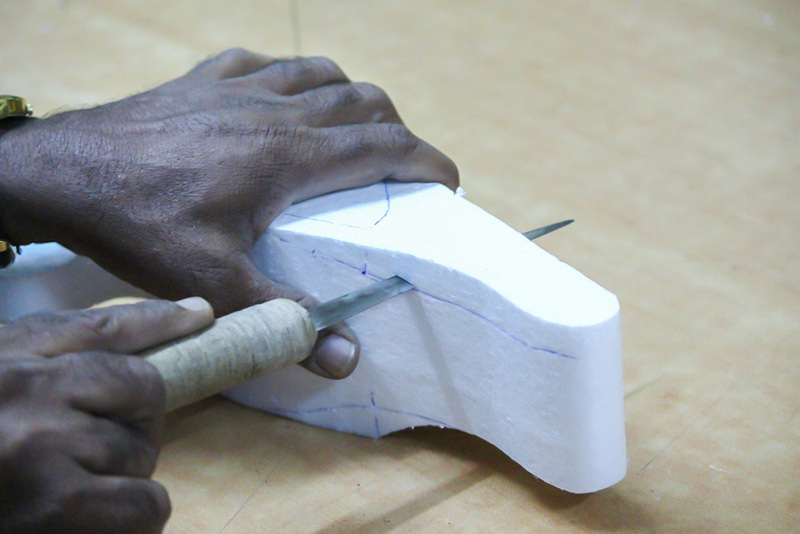 Sharp tool is used to remove the extras carefully whereas sharp edges are removed with the help of sharp tools. 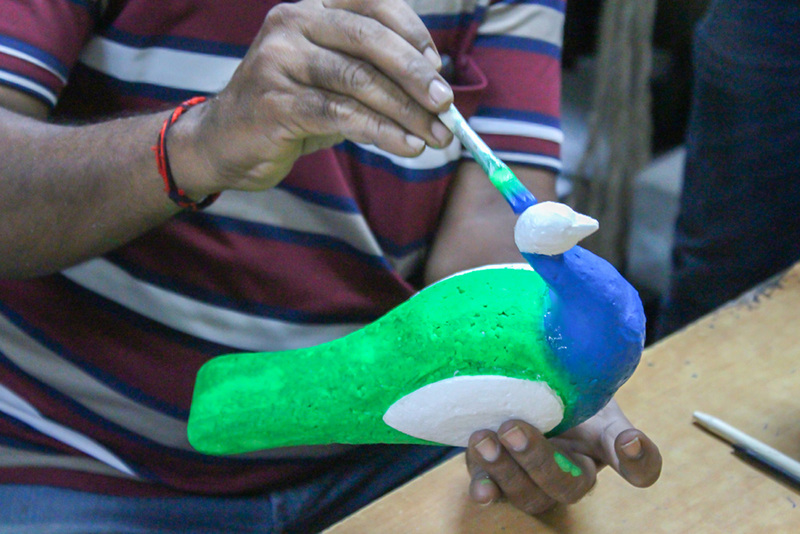 The unwanted thermocol is taken out to obtain a peacock shape. 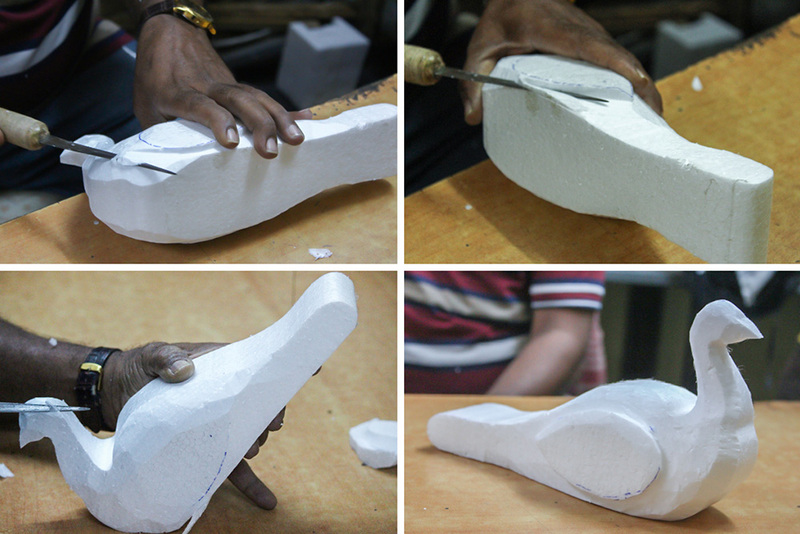 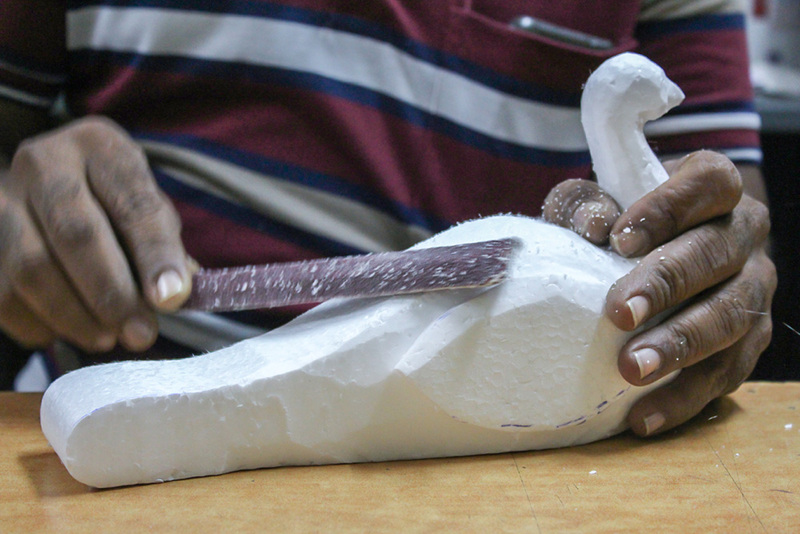 Once done with the rough shaping, artisan starts to give depth to the article. 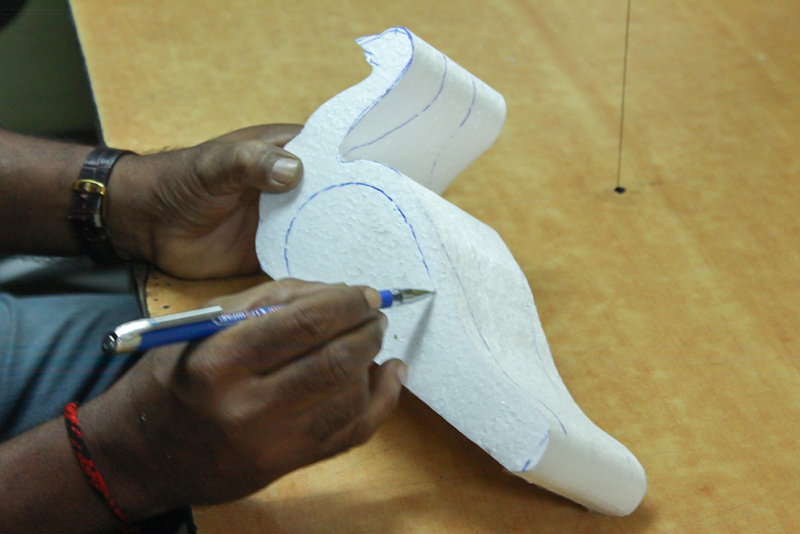 Rough edges are smoothened by using filer to obtain a neat finish. 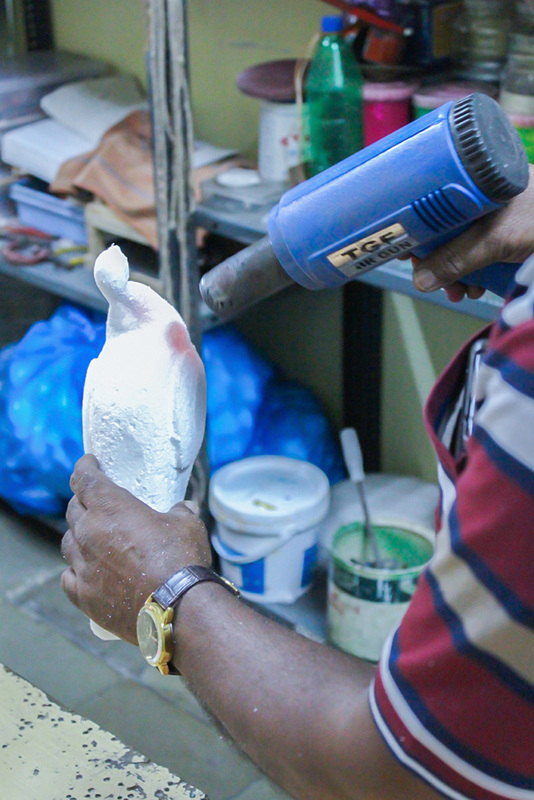 Hot air blown to the article to melt the thermocol for the durability and to fill the minute gaps caused by the tools. 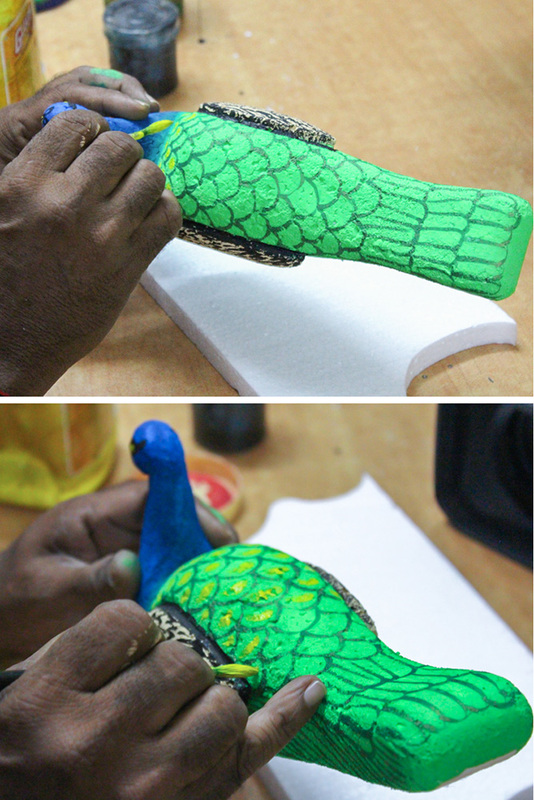 Colouring the article is one of the major steps, which gives an elegant look for the beautifully carved article. 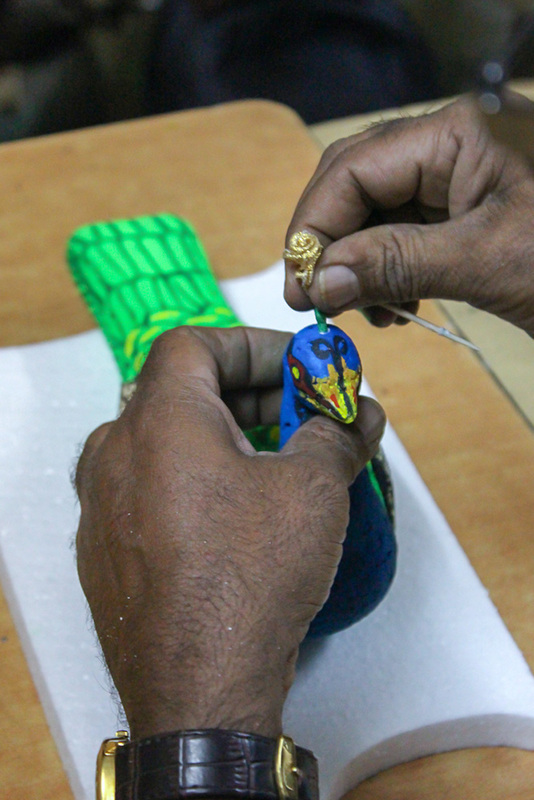 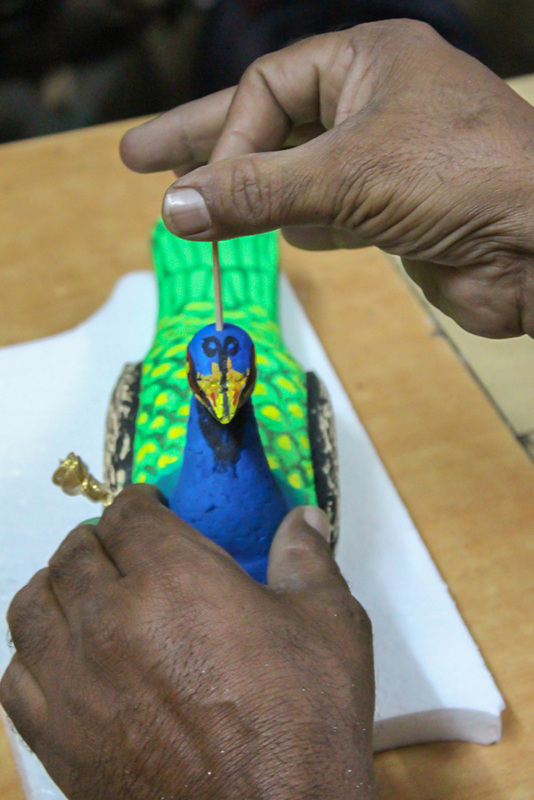 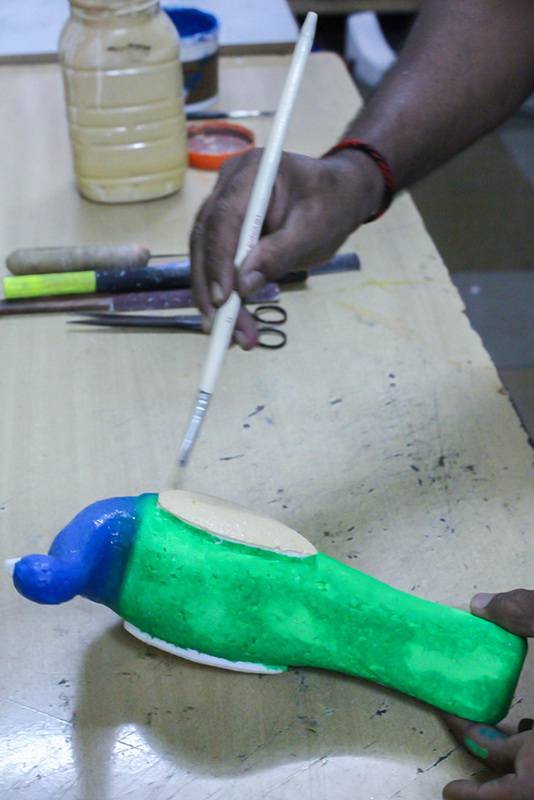 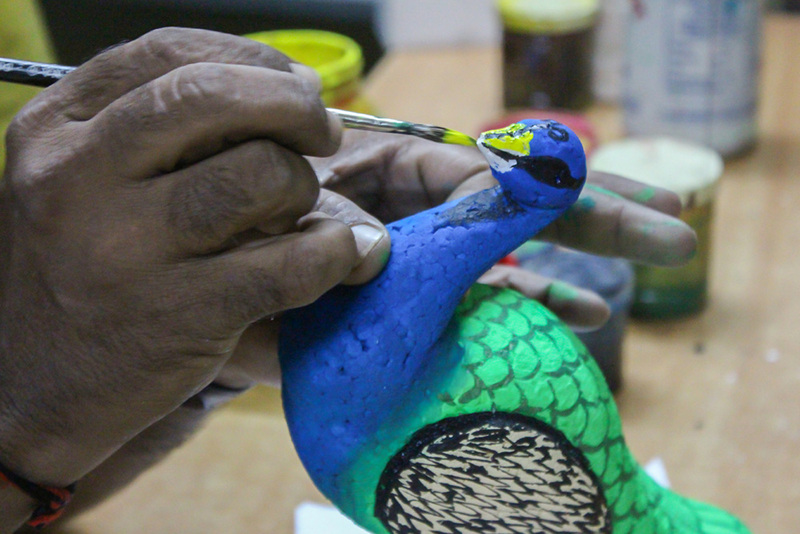 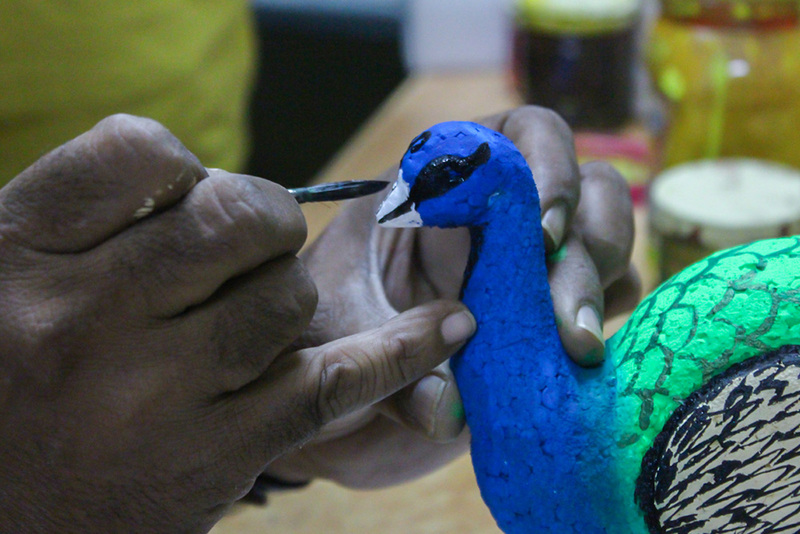 Artisan starts to paint the article by using respective colours, which portrays the beauty of peacock. 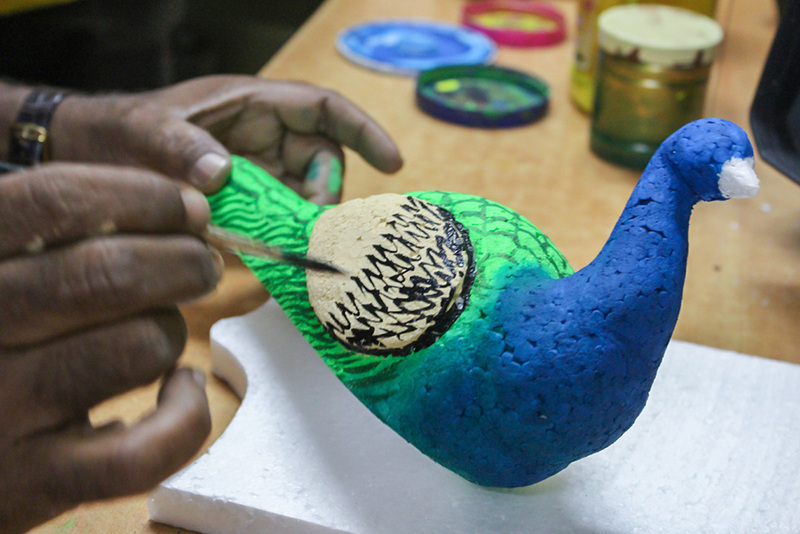 Initially green colour is applied to the body of the peacock, whereas blue colour is applied to the neck and face of the peacock that shows the beautiful colour combination of the peacock. 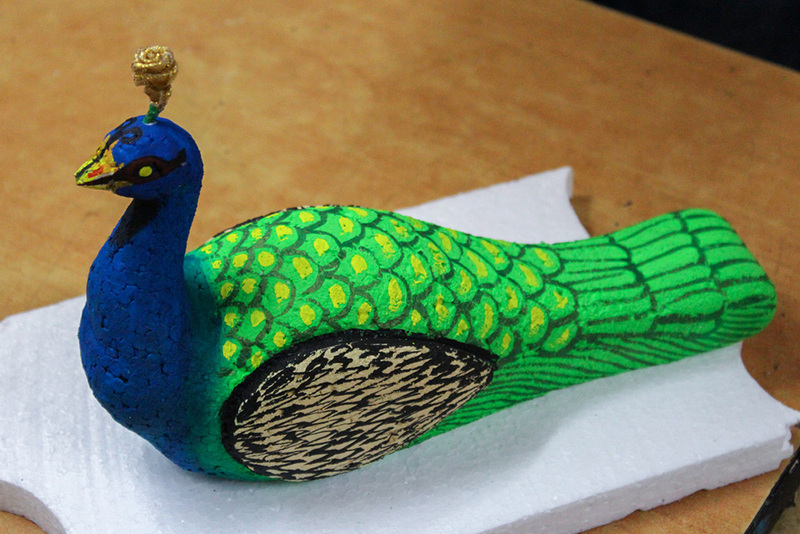 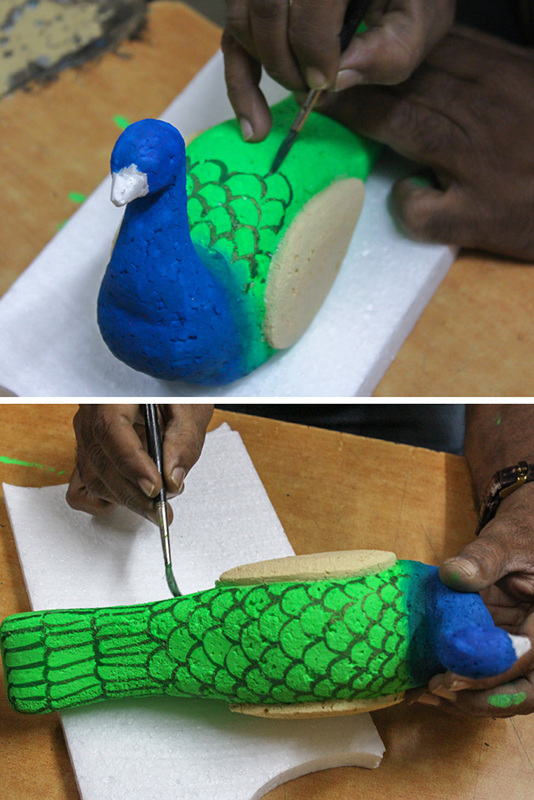 Decorating the peacock body by creating attractive designs that gives a feather like appearance. 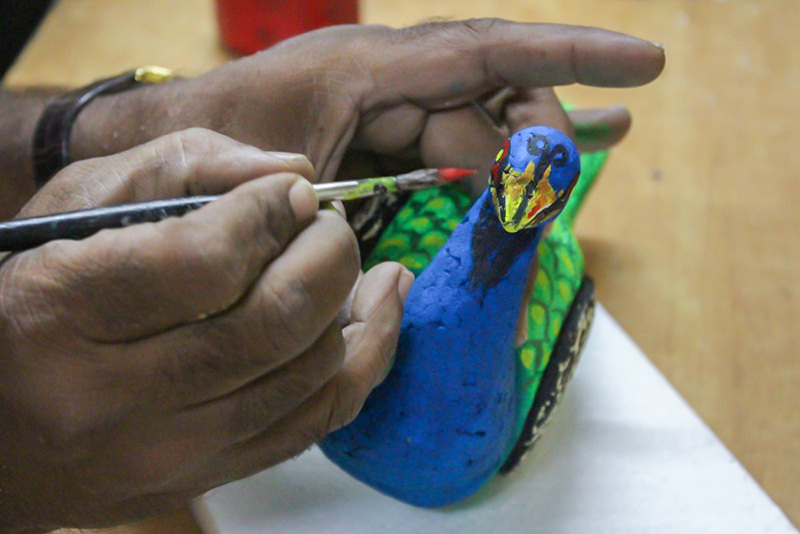 Then small round brush is used for detailing the face features like eyes and beak. 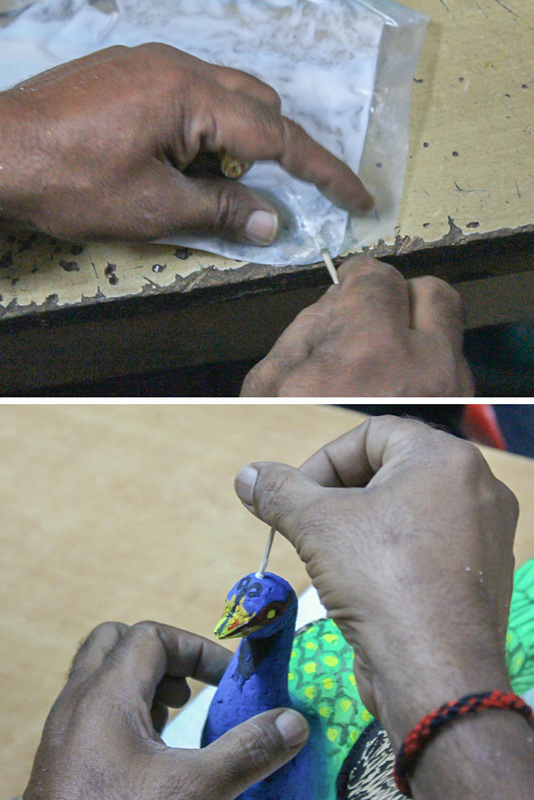 A small hole is made on the head of the peacock-using toothpick and then the feather is added at the top.